One injured U.S. sailor was evacuated from a U.S. Navy destroyer and taken to the hospital by a Japanese coast guard helicopter after the U.S. vessel collided with a Philippine-flagged merchant vessel off Japan, the U.S. Navy's 7th fleet said on Friday. 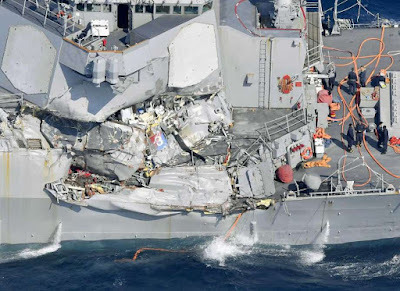 Separately, the 7th fleet said on Twitter that the ship was working with the Japanese Coast Guard to carry out a medical evacuation and the extent of injuries was being determined. 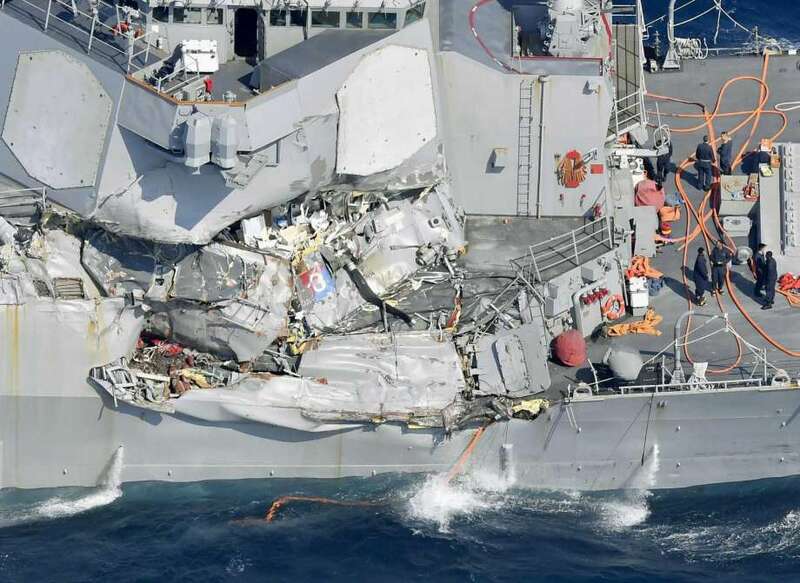 Earlier, the U.S. Navy said one of its destroyers, the USS Fitzgerald, had collided with a Philippine-flagged merchant vessel southwest of Yokosuka, Japan, in the dead of night. The 7th Fleet later said the destroyer was sailing under its own power but on limited propulsion.